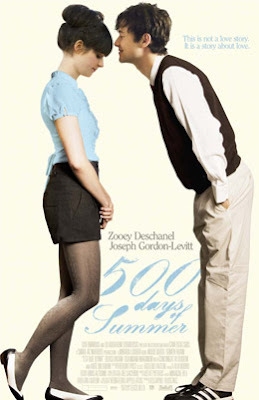 This weekend I am desperate to go see 500 Days of Summer. It looks like a cute indie flick and I love Zooey Deschanel (she is brilliant). I hope it's a realistic look on love with a dark sarcastic side. I will let you know once I see it. What movie is on your list? I am dying to see this too. SO bummed, I wanted to see "Away We Go", and it is not in the theater anymore. I will have to wait for it to come out on DVD... Also wanting to see "Funny People". I want to see "Funny People" too! I saw "Away We Go--so good, I loved it!